Summary: Wearing contact lenses can be intimidating in the beginning, but once you get accustomed to wearing them, the process becomes second-nature. 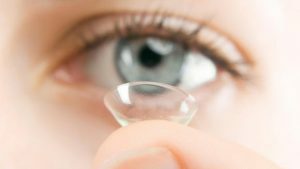 If you are new to using contact lenses, don’t worry about getting used to handling and wearing them. Your eyes may need to adapt but you will soon forget that they are even on. Here are some tips for new contact wearers to put any concerns you might have to rest. Probably the most difficult, and intimidating, part of the process, putting in and taking your contact lenses out is actually easy and fuss-free when you start to get used to it. It might be daunting to touch your eyes at first. But, before you know it, handling your contact lenses will become second-nature as brushing your teeth. Be sure to start with the same eye so you don’t get mixed up. Also, you can visit your eye care practitioner for a refresher demonstration if you do not feel that confident. Always wash your hands with warm water and soap and dry them with a lint-free towel before you touch your eyes. Be careful that you do not rub your eyes. While it is easy to touch your eyes without thinking about it, you don’t want to dislodge your lenses or get any dirt or oil from your fingers into your eyes. Always make sure you maintain good hygiene practices. Clean, disinfect, and store your lenses and lens case as instructed by your eye doctor. By practicing good hygiene and maintenance practices on a daily basis, you’ll save yourself the headache and pains of going back to the eye doctor for advice or even medical attention. Blog submitted by Lens.com: Searching for discount Acuvue Vita contact lenses? Contact the experts at Lens.com for the lowest prices and widest selection of contact lenses.